Shouldn't Motor Vehicles Amendment Bill address concerns of sleep-deprived drivers? On Monday, three people were killed and 30 injured when a KSRTC bus collided with a lorry on a bridge in Kerala. Many speculate that the accident took place because of the driver sleeping at the wheel. A video that captured the accident clearly shows the bus going to the wrong side and ramming into the lorry. But while many speculate, accidents caused due to sleep deprivation is quite common on Indian roads. Like many states, which are aware of such incidents, the West Bengal government in March this year classified chatting at the wheel as “negligent driving”. As a road safety requirement, violation of this could lead to dismissal for drivers employed by the State Transport Undertaking in the state. Although, it is important to understand that sometimes, conversations might keep an excessively sleep-deprived driver awake at the wheel. 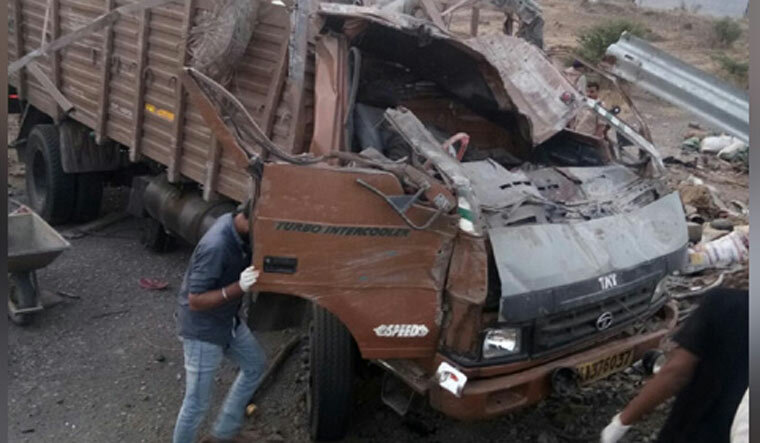 A report on road accidents in India released by the Ministry of Road Transport & Highways in 2016 stated that at least 4,80,652 accidents were reported in the country. And, while India does not record accidents caused due to drowsiness, many police officers say that people dropping off at the wheel is often a major cause for road accidents. Once signed into law by the President, it is hoped that the Motor Vehicles (MV) Amendment Bill could help achieve the UN mandate for road safety and help in reducing road accidents by a huge margin. The bill was earlier passed by the Lok Sabha and deliberated upon this month by the Rajya Sabha. A nation-wide strike against the Center’s Motor Vehicles (MV) Amendment Bill was held on August 7, which brought the traffic in most cities to a screeching halt. The All India Coordination Committee of Road Transport Workers’ Organisations called for the strike claiming that the bill would prove unfavorable to the citizens of the country. The bill provides for a radical amendment on the decades-old Indian Motor Vehicles Act, 1988 and offers high penalties—almost five-fold of previously levied fines—for various traffic offences, and a ten-fold increase in compensation for families of accident victims. However, it does not give any provisions for the transport drivers, especially the bus drivers who mostly suffer from sleep deprivation. Usually, the bus schedules are harsh for the drivers who end up working two or three shifts often overnight. Even after copious amounts of coffee, betel leaves and other drugs, they are unable to stay awake at the wheel and succumb to drowsiness and fatigue. “A number of studies of shift workers, especially professional drivers, have documented the occurrence of changes in sleep architecture over time. The associated symptoms, including poor quality of sleep, fragmentation due to OSA (Obstructive Sleep Apnea), and sleep deprivation and/or restriction, were thought to explain the ES (Excessive Sleepiness), fatigue, health deficits, possible driving errors, and serious accidents,” says a study on ‘sleep disorders as a cause of motor vehicle collisions’ published in the International Journal of Preventative Medicine. Despite such crucial issues to be considered, many hail the bill as being noteworthy for focusing on various other aspects of road safety. These include provisions for alterations of vehicles to make it suitable for specially-abled people, the removal of cap on liability of third-party insurance and a motor vehicle accident fund that will provide necessary insurance cover to all road users in India for certain kinds of accidents. However, the transport sector workers also increasingly fear that privatisation of the transport sector to create a National Transportation Policy that the bill proposes could lead to job losses. The public transportation system is currently under the direct control of the state government and operated by the state transport undertakings (STUs). The workers claim that once the public transport system comes under the absolute control of private entities, the small transport operators will be pushed out. The monopolisation and increase in fares, along with the already rising fuel prices, would become a harsh reality for the common working class people. Still, the fact remains that drivers in the transport sector who should be given importance in the bill have not been included successfully. Sleep deprivation impairs reflexes and critically slows down the reaction time of drivers of heavy and commercial vehicles such as buses, lorries and trucks. Private and public transport providers do very little to ensure drivers get sufficient amount of sleep and do not need to rush to destinations because of impossible schedules. Complete privatisation of the transport sector in the country could mean for more efficient operation of services and facilities. In such a case, it could drastically help drivers by providing them with driving schedules that ideally do not stretch beyond one shift lasting not more than eight hours a day. On the other hand, the monopoly of transportation could also mean little or no competition in the sector and therefore, poor working conditions and treatment of workers. Hence, it is vital to create provisions focused on the workers as well to safeguard for their welfare and employment. Under the proposed section 66A such a National Transportation Policy is to be created only after meeting and discussing it with states and forming a Centre-state consensus for which a procedure is to be set up. Moreover, the bill states that civic agencies, contractors and consultants will be held accountable for poor construction and maintenance of roads leading to fatalities, while also holding accountable manufactures of vehicles, if they provide sub-standard components in production. The government will have every right to recall such faulty vehicles, which do not meet the required standards. The discussion will resume in the Rajya Sabha when the next Parliament session starts.